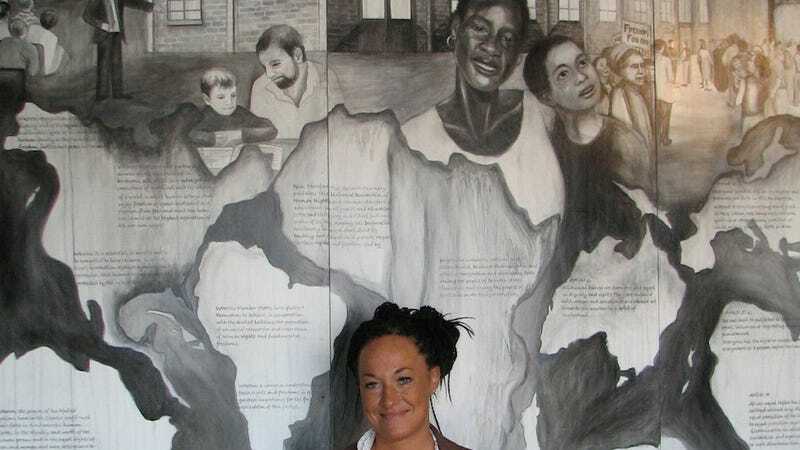 If you thought that the news about Rachel Dolezal—president of the Spokane, Washington NAACP who has been pretending to be black—had reached peak insanity, then you were wrong. Last night, one of Dolezal’s former students at Eastern Washington University told Buzzfeed that Dolezal had refused to let her participate in an class exercise because she “didn’t look Hispanic” enough. The exercise, called “Fishbowl,” was part of a “Race and Culture” course, one of the many first-year foundational courses offered by the university. The exercise was designed to expose students to “racial and cultural experiences,” and included lectures on white privilege and microagressions. In the first round of Fishbowl, the student said Dolezal sought out a volunteer of Hispanic background to be questioned. The student, who told BuzzFeed News that she identifies as Hispanic, grew up in a Spanish-speaking country, speaks the language fluently, and, while she has light skin, believes she has a “pretty solid experience of what it’s like to be Spanish.” She raised her hand to participate. “I think we should ask another student,” the student recalled Dolezal saying in class. The student asked why she could not participate.